Welcome to Austex Tree Service of Austin, Texas! FOR EMERGENCIES, call us at 512-248-0082. Trust the experts at Austex to help you deal with fallen trees, dangerous tree removal, stump grinding, trimming, debris cleanup and more on your grounds. Check out all our services. 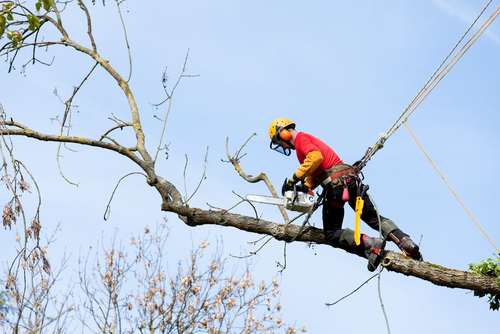 Our thoroughly trained and certified tree professionals will give you the very best in tree care. We are licensed and insured for your protection. Need a FREE estimate? Just call! We strive to provide excellent tree science principles and techniques to each and every customer, with total safety and satisfaction in mind. Trees, like all living things, fight off diseases and pests. Unlike animals, they never “heal” themselves when infected. Instead, they continue to grow around the sick area and can rot from the inside out. We are specialists at analyzing health and structure problems, helping to save trees wherever we can. Austex believes in green practices that are good for the environment, too. Call us for all your tree needs today – including a free estimate – at 512-248-0082. We look forward to serving you!